If you are looking for USA-made custom low crown hats & caps, your search ends here at Unionwear. 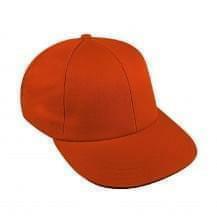 We stock the most popular styles of hats, in different colors and designs. Take your custom low crown hats and caps to a trade show and let company and brand image shine. Since a cap is a useful gift item, and most people wear it, you can have them showing off your brand’s logo wherever they go. Unionwear is a leading fair labor manufacturer of USA-made custom low crown hats & caps at unbeatable rates. We offer in-house embroidery services to make the finished products in line with our customers' exact specifications. Contact us today for more details.